Loop the Loop - Loop the Loop - Exciting art events in Cornwall libraries. Stop Press......pop-up half term manga workshops! Come along and make the most of this amazing FREE opportunity to work with Keith Sparrow! Keith Sparrow is a freelance illustrator and designer working in a wide range of styles, including cartoons, marketing and events visuals, storyboards and poster design. 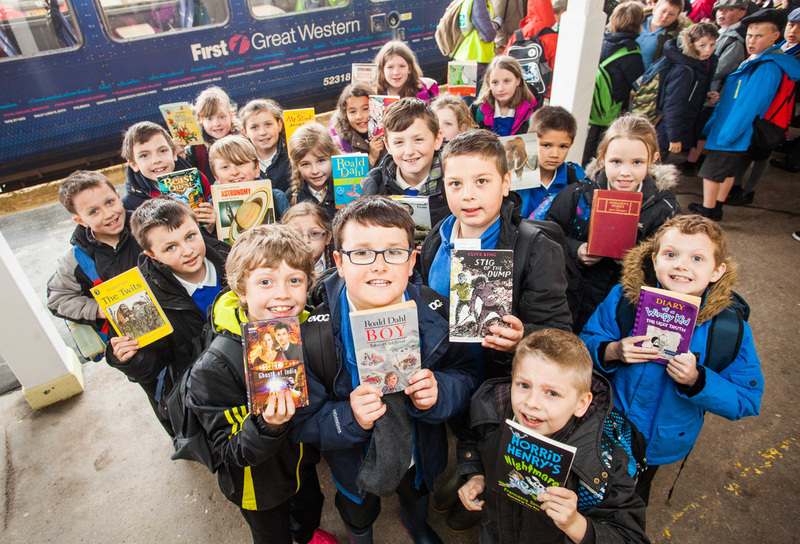 We have now completed our latest Loop the Loop project at Liskeard, Saltash and Looe libraries. A touring exhibition of work made during the projects will be shared in a travelling exhibition in July and August this year. Watch this space for details! Here it is.... our Branching Out project film! Thanks again to all who made this project such a success and lots of fun to work on! For more details o the project, see our Branching Out page. 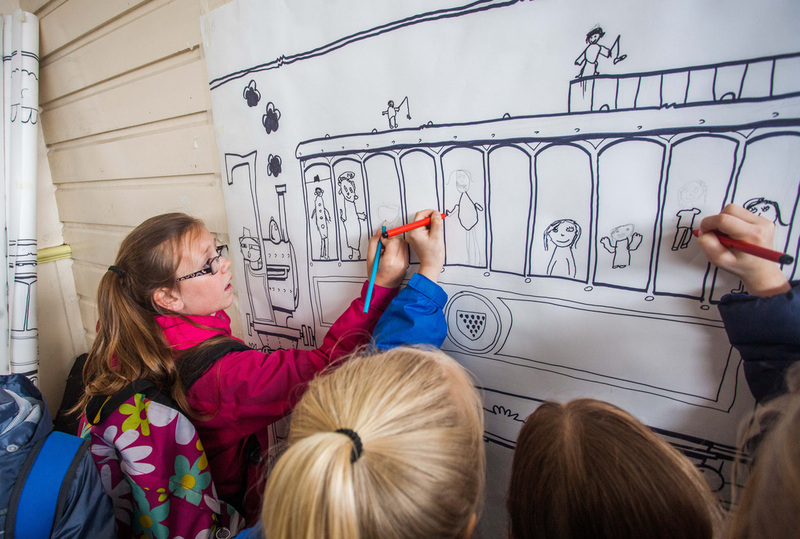 Heritage cartoon drawing with Nick Brennan at the Looe Valley line. The wonderful animation created by Lizzie Black with participants from Redruth School, Bodmin College, visitors to Redruth and Bodmin libraries as well as the Knit and Natter Group in Bodmin! 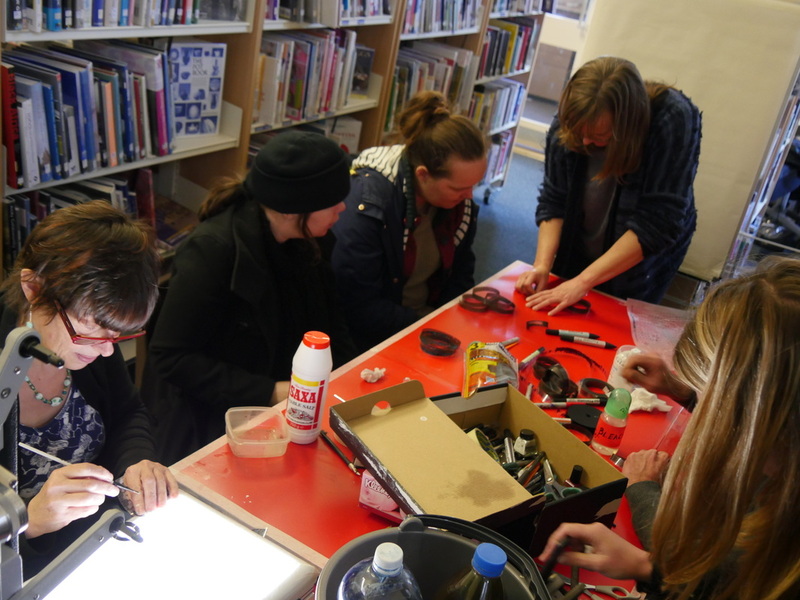 Drawing and Painting on film workshop at Redruth library, with Jacqui Knight of Cinestar. Click below to see a film about our workshops with Redruth School at Redruth Library and what the students thought about them! 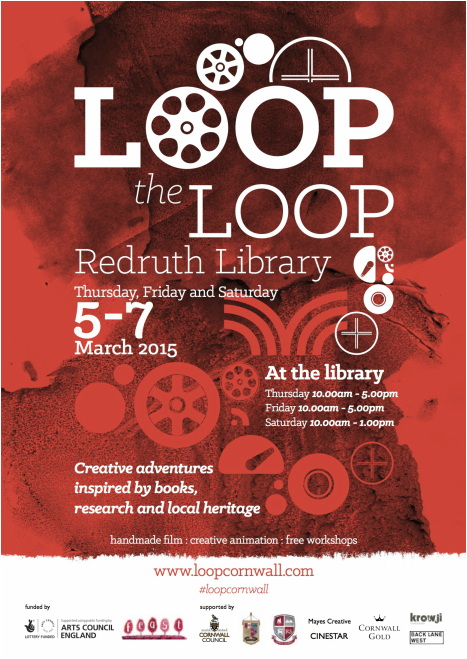 Loop the Loop St Austell will be followed by two three day events early next year in Redruth and Bodmin libraries. More information about these events will be coming soon. Workshop participants created a fascinating array of work during their workshops with Jacqui Knight of Cinestar. Loop the Loop, St Ives was a series of events at St Ives library in Cornwall, inspired by books. Artist/filmmaker Joanna Mayes was in residence at St Ives library for two weeks and invited visitors to talk about books, film and how to process it with coffee! Jo then invited other artists to come down during the second week, providing drop-in activities, workshops and general mayhem and a great deal of fun ensued! See the Loop the Loop St Ives events for details of activities which took place there. Watch this space for links to film taken and processed by Jo and videos of work made by workshop participants. Special thanks go to the staff at St Ives library for making Loop the Loop possible. The team helped to both plan and deliver the events and worked tirelessly to ensure that it was a success. All the artists involved would also like to says big thank you to everyone who got involved and for making this a very supportive environment in which to share our work.